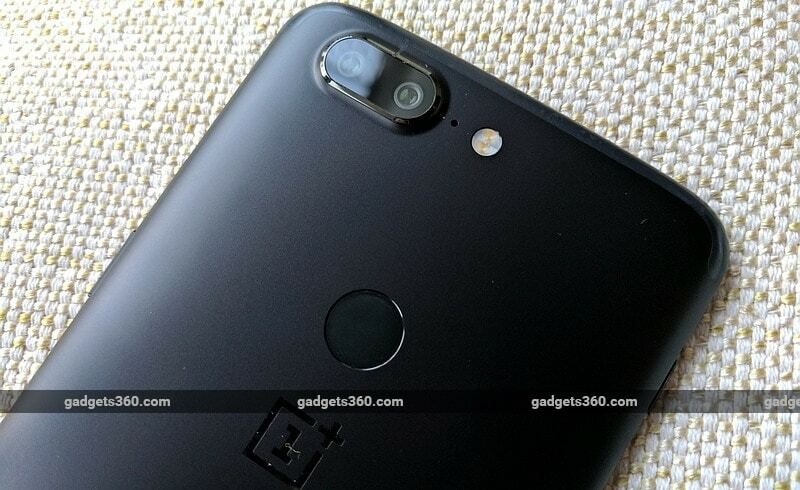 OnePlus 5T was launched on Thursday at a glitzy event, heralding another flagship-class smartphone by the company just five months after the launch of the OnePlus 5. The new OnePlus 5T has pretty much the same innards as its predecessor, and comes in the same configurations and - most importantly - the same price points. Making the OnePlus 5 obsolete so soon is a bold move for this young company, and is certain to annoy people who have recently spent a lot of money on it, especially considering how much hype there was at the time of its launch. We've been able to spend some time with the new OnePlus 5T prior to its launch as well as at the event, and here's what you need to know about the strategy and about the device itself. The main (and possibly the only) reason for the launch of this phone is that competitors have been quick to adopt 18:9 screens in their 2017 models, and OnePlus would have been left behind. While its hardware is still recent and you get a lot of bang for your buck, the OnePlus 5 would just not have looked appealing on store shelves compared to what everyone else is launching. There is an immediate visceral appeal to phones that look modern, and OnePlus couldn't risk being left behind since it sells only one model at a time. Rumours of the OnePlus 5T launching with a purported new Snapdragon 836 SoC have turned out to be false, because Qualcomm hasn't released any such thing. The new smartphone uses the same Snapdragon 835 as its predecessor, and this is still the best available hardware, unless you want to design your own silicon like Apple. Unlike the OnePlus 3 and OnePlus 3T, the mid-cycle refresh this time does not bring anything new on the performance front. There's still one variant with 6GB of RAM and 64GB of storage, and another with 8GB of RAM and 128GB of storage. 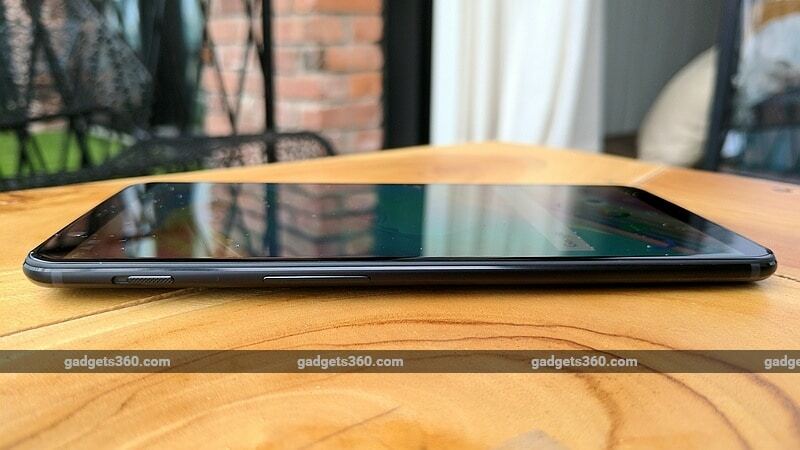 OnePlus has tried to embrace the trend of taller screens but hasn't quite achieved a borderless look. The front glass has rounded edges but doesn't curve around the sides, and there are still noticeable margins all around the screen. This is a familiar balance of proportions that we've now seen on the Oppo F5, Vivo V7 Plus, and Honor 9i amongst others. Interestingly this phone will only be available in black. OnePlus might release new colours down the line as it has before, but you have no choices at launch time, no matter which variant you want to buy. The 6.01-inch AMOLED screen has a 1080x2160 which we suspect will soon become standard at this price level. It's bright and vibrant, and we had no trouble with any kind of usage situation. Prospective buyers will be pleased to know that the infamous OnePlus 5 "jelly scroll effect" was undetectable to us. The fingerprint sensor has been displaced from its usual spot below the screen and is now on the back. It's within easy reach and works perfectly well. OnePlus has also jumped onto the face recognition bandwagon, and you can use the OnePlus 5T's front camera to authenticate you and unlock the phone. It works exactly like on the Oppo F5 - setting up takes a few minutes and you might need to try a few times before it works, but then unlocking the phone is quick and easy. One complaint we had with the OnePlus 5 was the fact that the finish around the rear camera protrusion was easily scraped off. That seems to have been fixed this time around. The camera bump itself looks a lot smoother, and in fact is now a lot more similar to those of the iPhone 7 Plus and iPhone 8 Plus. The antenna lines are subtle, but there's also the same iPhone inspiration. There's a large speaker grille on the bottom, along with a USB Type-C port and thankfully, a 3.5mm audio socket. On the left is the trademark OnePlus alert slider which lets you slip into DND mode quickly, and the volume buttons. On the right there's a tray with two Nano-SIM slots and also the power button. Storage isn't expandable, so there's no microSD card slot. On the software front, it's a bit disappointing that the OnePlus 5T still runs Android 7.1.1, with OxygenOS 4.7. OnePlus has committed to releasing an Android 8.0 update in early 2018, which is at least better than not having it at all. OxygenOS is still pretty customisable, without being too heavy or detracting too much from the stock Android experience. We'll have full details of the performance and handling of the OnePlus 5T, as well as thorough camera and battery test results in our full review, so stay tuned to Gadgets 360. Disclosure: OnePlus sponsored the correspondent's flights and hotel for the launch event in Brooklyn.